Outstanding Renov! 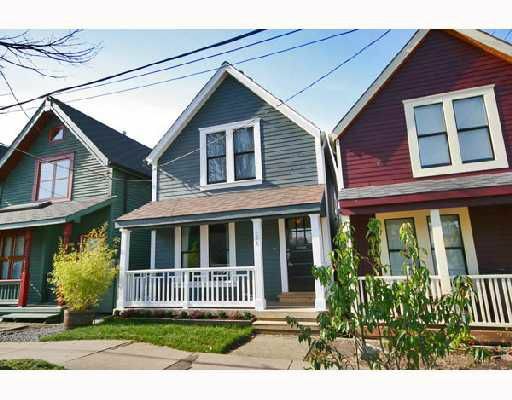 From top to bottom, inside & out, this beautiful character row house has been tastefully & totally renov. Gutted & rebuilt from the studs, this fab 2 bdrms + den up & legal 1 bdrm suite down with seperate address, offers many great feats: huge gourmet kit & stainless steel appls, spacious & relaxing bath with x-large soaker tub, solid bamboo flrg & much, much more. All upgrades including plumbing, electrical, seperate alarm system, insulation, roof & siding were professionally done with permits. Great outdoor space with west facing cedar deck, patio & garden area. This is truly a must see!!! Open Sunday March 8/08 2-4pm.